AMNESTY International first called for an official inquiry into what took place in Northern Ireland’s mother and baby homes five years ago. The organisation’s NI director Patrick Corrigan said: “Amnesty International for a number of years now has received allegations from women and indeed children who were formerly resident of these homes, allegations that amount to arbitrary detention, forced labour, ill treatment, the illegal removal and forced adoption of babies. There is also some suspicion based on what happened in the Republic of worryingly high infant mortality rates. “I think for all of these reasons, government has a human rights obligation under international law to investigate what appears to be widespread and systemic abuses and establish the truth of what went on here just as a commission of inquiry is trying to do right now across the border. “Why were there such high infant mortality rates at these homes? Did that mean that small babies and infants were dying needlessly, dying because of lack of care in these supposed care homes. I think that if that is the case then we are talking about very serious crimes indeed. “We need a proper human rights compliant public inquiry into what exactly went on and how were these women, young girls and their babies treated. Because I think what we will find will shock this society to its core. Mr Corrigan said these exercises must be steps on the road to establishing an inquiry. “The Executive’s interdepartmental working group must urgently meet with victims to discuss its terms of reference and timescale and the need for it to recommend a public inquiry without further undue delay. Toni Maguire is a forensic archaeologist who is currently examining the site of former mother and baby home Marianvale in Newry. She has worked on the burial sites at Tuam and the Bog Meadows at Milltown Cemetery and is currently compiling a full record of all available data on infant burials. She said: “I think we have to look at the babies who are buried in this way, as all those who were buried within the Bog Meadows. It was more about disposal than burial. She said that full archaeological surveys are needed at the sites of all former mother and baby homes. "The Good Shepherd Sisters were the owners and occupiers of the Marianvale Mother and Baby Home, which opened in 1955 and closed in 1984. We wish to categorically state that there were no burials of babies, infants or adults in the grounds during this time. "Adoptions from Marianvale were managed through Social Services, registered adoption agencies and the courts, in accordance with adoption legislation in Northern Ireland at that time. Should any persons have any matters of concern in this regard we ask that they immediately bring it to the attention of the NI authorities. "We will deal directly with the appropriate authorities, as required, on all such matters. "Should persons who spent time in our care wish to contact us directly on any matter we will assist as best we can." The Salvation Army said it was unable to provide any statistics in relation to residential units for mothers and babies in Northern Ireland. A spokesman said: "We were one of a number of churches, charities and social agencies working in partnership with social services and health services and provided residential units for mothers and babies. "Our policy, detailed in Orders & Regulations for Social Officer (Women) c.1890, was that adoption outside the birth-family should be a last resort. "Our Family Tracing Service has an established track record of finding people and would work to trace individuals and family members if contacted. Down and Connor Diocese said it would cooperate if an inquiry is called. 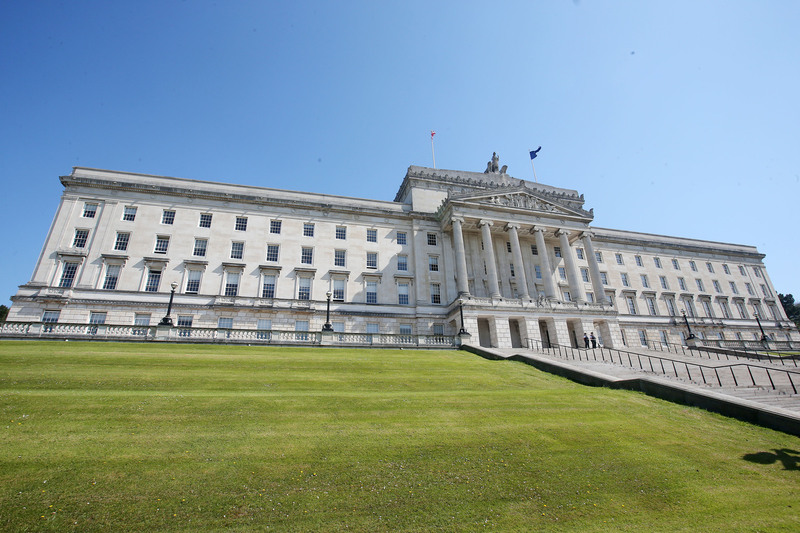 "The decision to hold a state inquiry into Northern Ireland’s former mother and baby homes is a matter for the Executive. In the event that such an inquiry is called, as in previous inquiries, the Diocese of Down and Connor will fully cooperate with the statutory authorities with their investigation. All diocesan burial records for that period are already in the public forum and can be accessed through PRONI." Detail Data sent our key findings to the Catholic Communications Office at the Irish Catholic Bishops' Conference based in Co Kildare. Does the Catholic Church support the call for an inquiry into Northern Ireland’s former mother and baby homes? Would the Catholic Church commit to supporting an inquiry with information and documentation relating to homes run by orders within the Catholic Church? What do the Bishops/Catholic Church think of our findings? In particular, what is the church’s view on the deaths by severe malnutrition of at least 43 children from Nazareth House and Nazareth Lodge in 1942? Is the Catholic Church willing to apologise for its part in the treatment of unmarried women and their children in Northern Ireland in the past? We then sent an additional email asking for a comment on the contradictions between the Milltown Cemetery burial records for 1942 and the children’s death certificates. The Church provided no specific response to our questions and instead sent links to four old press statements - three of which dated back to 2014 - regarding mother and baby homes. None of them related to the situation in Northern Ireland. See the statements here, here, here and here. Does the Executive Office support the call for an inquiry into Northern Ireland’s former mother and baby homes? Can it commit to an inquiry? If so, when will this get underway? What does the Executive Office think of our findings? In particular, what is the Executive Office’s view on the deaths by severe malnutrition of at least 43 children from Nazareth House and Nazareth Lodge in 1942? Is the Executive Office willing to apologise on behalf of the government for the treatment of unmarried women and their children in NI in the past? A spokesperson for The Executive Office said: “The Executive Office and the Department of Health have been working together to implement the recommendations agreed by the Executive on 10 February 2016. The recommendations provided for engagement with the Safeguarding Board for Northern Ireland on clerical child abuse and the establishment of an interdepartmental working group on historical abuse of residents over 18 in Mother and Baby Homes/Magdalene Asylums (Laundries) which fall outside the remit of the Inquiry into Historical Institutional Abuse. “It has become clear through our joint work to date the structural, legislative, policy and practice frameworks that existed throughout the timeframe of the Historical Institutional Abuse Inquiry will be relevant to the ongoing work. "On 27 October 2016 the Executive agreed therefore to the establishment of a single independently chaired inter-departmental group, jointly sponsored by the Executive Office and Health, to take forward work in connection with these two important and sensitive matters. The inter departmental working group held its first meeting in March 2017. It will report with its recommendations in due course. He added that the Executive Office will consider Detail Data’s findings when constructing the specification for research into Mother and Baby Homes and that work is currently underway. Dr Mandi MacDonald is a lecturer in social work at Queen’s University Belfast and has researched the issue of adoption. She described Detail Data’s findings as “very disturbing”. “The statistics on deaths of illegitimate infants, and particularly those dying of undernourishment, are especially concerning,” she said. “I would certainly back a call for an inquiry into the treatment of unmarried mothers and their infants - conducted in a way that is sensitive to the needs and feelings of those most directly affected. “At the time that adoption became regulated in law with the Adoption (NI) Act 1929 it was primarily seen as an alternative for unwed mothers who might struggle to rear their child in the face what was, undoubtedly for some, overwhelming social pressure. “Then adoption was characterised by secrecy, intended to preserve the anonymity of birth mother, adopters and children and to protect them from the stigma and social censure that went with ‘illegitimate’ birth. “It is only relatively recently, since the implementation of the Adoption (NI) Order 1987, that people adopted in Northern Ireland have had access to their original birth certificate once they turn 18. This was followed by the introduction of the Adoption Contact Register to help those birth parents and adoptees who want to trace one another. Dr MacDonald said it was important to understand as fully as we can this aspect of our recent past as it shapes our approach to child welfare in the present.